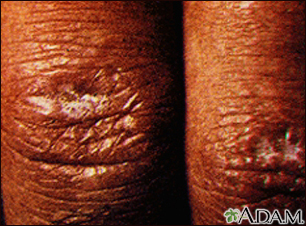 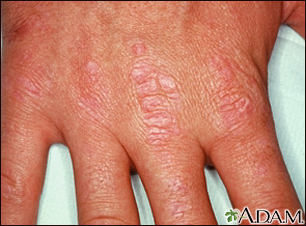 Red, thickened, scaly skin over the knuckles (Gottron's sign) associated with dermatomyositis, an autoimmune disease of the skin and muscles. 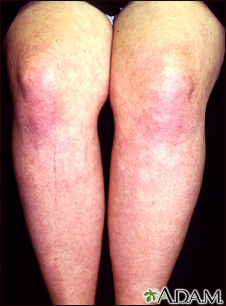 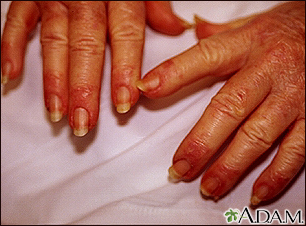 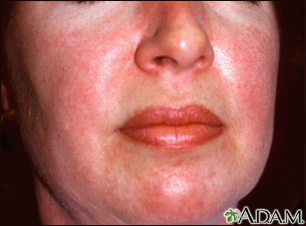 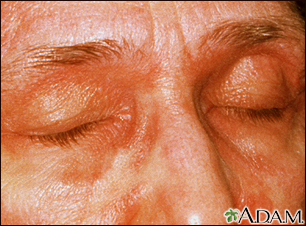 This is Gottron's sign, seen in dermatomyositis (an inflammatory disease of the muscles and skin). 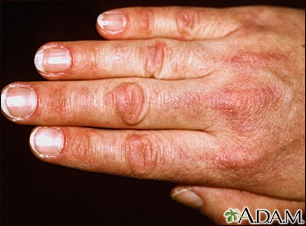 Violet-colored inflammation over the knuckles is an important diagnostic finding in dermatomyositis, since other skin conditions produce more redness.